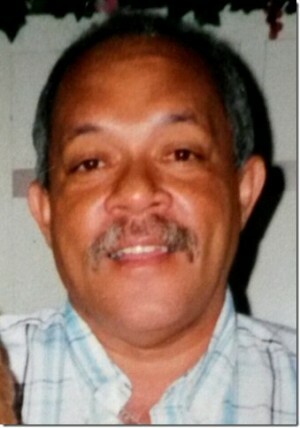 OSWEGO, NY – Luis A. Rivera, 52, a resident of West Sixth Street, passed away Tuesday December 2, 2014, at Oswego Hospital. Mr. Rivera was born in San Juan, Puerto Rico, the son of Sebastian Rivera and Dominga Vega-Samo. He was employed locally in the farming business. He is survived by his mother; four daughters, Lillibeth Rivera Acosta, Yarmarie Rivera Acosta, Saligmarie Rivera Acosta and Maylin Rivera Acosta; four sons, Luis Alfredo Rivera Acosta, Arnaldo Noel Rivera Acosta, Jose Alfonso Rivera Acosta and Isben Jesus Rivera Acosta; a brother, Edwin M. Rivera; as well as several aunts, nieces and cousins. Services in Oswego are private. Burial will be in Puerto Rico.